We excitedly look forward to another favorite time in Newport Harbor and we invite you to save December 19-23 on your calendar for The 110th Newport Beach Christmas Boat Parade. 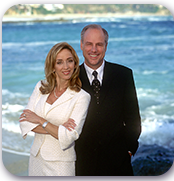 Coordinated by the Newport Beach Christmas Boat Parade Committee, which is guided by the leadership of The Commodores Club of the Newport Beach Chamber of Commerce, this year’s parade will both commence and finish at the tip of Lido Isle. As in previous years, the parade will begin at approximately 6:30 p.m. each night. Each year the beloved holiday tradition lights up the harbor and draws holiday enthusiasts from across the region. Residents and visitors can enjoy the spectacle from a variety of public viewing locations including the new 10.5-acre Marina Park, which offers 177 parking spaces, nautical-themed playground, picnic area and sailing center, and is also the largest public viewing area along the parade route. Another favorite option to see the beautifully decorated yachts, boats, kayaks, and canoes are the numerous Dine & Watch waterfront restaurants, or Dine & Walk from one of the harbor-adjacent restaurants to one of the convenient viewing spots. On Wednesday, December 19 locals and visitors alike can enjoy the spectacle from a variety of public viewing locations including numerous waterfront restaurants and the 10.5-acre Marina Park. Festivities will begin in Marina Park at 4:30 p.m., with family-friendly activities including face painters, caricature artists, LA Chargers football toss competition and food vendors. Onlookers will also be treated to a live musical performance by The Young Americans. On opening night, the parade will commence with a spectacular fireworks display at approximately 6:15 p.m. from Newport Pier. 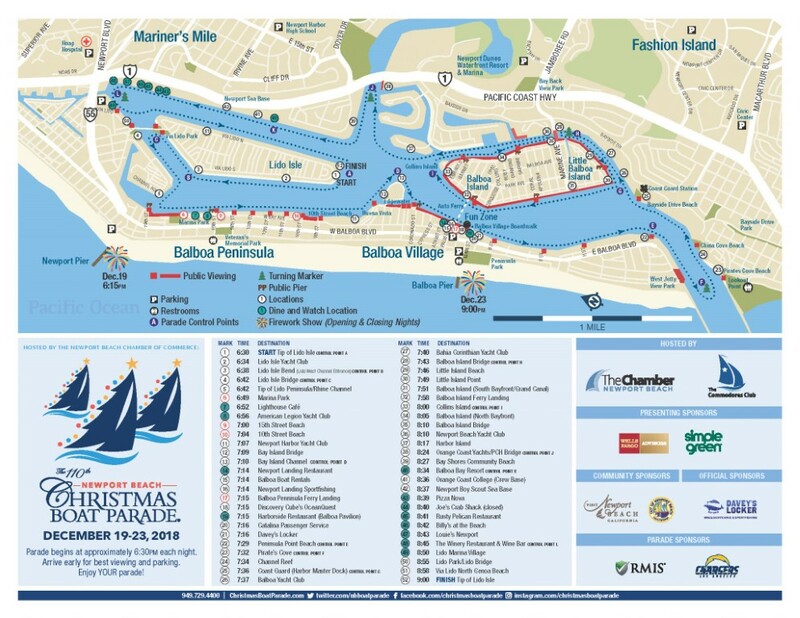 Whether you are planning a lavish holiday feté on your private dock or looking forward to making a reservation at your favorite harbor establishment, visit www.ChristmasBoatParade.com for a map that includes approximate times the route will pass each destination point. And don’t forget to check back often as more details will be available, including this year’s Grand Marshal. If you are looking for a place to stay overnight, here’s an array of hotels and resorts. The boat parade will start and finish at Lido Isle. Grand Marshals: The Young Americans® – a non-profit organization dedicated to the promotion of understanding and goodwill among people throughout the world.